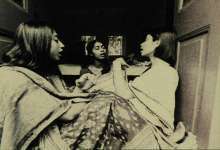 Three women reminisce about their times at school and rekindle and affirm old friendships. They share a strange secret about each other that is never made known to us. The film is a cinematic interpretation of Samuel Beckett's 1967 dramaticule, «Come and Go».